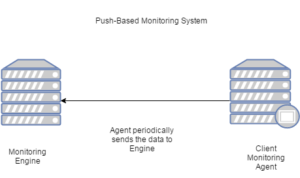 Riemann is a next generation Open-Source Push-Based monitoring system, which is designed to scale vertically and horizontally with the infrastructure, making it a good choice for monitoring elastic infrastructure. Riemann provides transient shared state for system with many moving parts. Riemann aggregates events from the servers and applications with a powerful stream processing language. 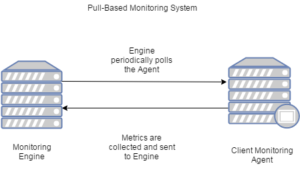 Push-Based monitoring system scales well with Cloud systems, which use auto-scaling heavily, as the new instances are not required to register with the Monitoring Engine, making monitoring easy and scalable as compared to Pull-Based monitoring systems. metric : A number associated with this event, e.g. the number of reqs/sec. ttl : A floating-point time, in seconds, that this event is considered valid for. Expired states may be removed from the index. Apart from the standard fields, custom fields can also be sent in the event. The index is a table of the current state of all the services tracked by Riemann. Each event is uniquely indexed by its host and service. Events have a :ttl field, which indicate how long the event is valid for. Events that sit in the index for longer than their TTL are removed from the index and re-entered into the stream as an expired event. Streams acts as the source from which all the events begin to flow. Riemann provides the packaged installation for Fedora and Debian based systems. For other systems, there is a tar-ball package. Connect to a system via SSH (Putty, MobaXterm, Cmder) and download the tar-ball package in the /opt directory. Logging location and preferences are configured through logging/init function. 2. 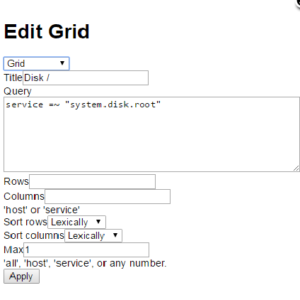 Binding hostname is configured through host variable of configuration file. 3. Event expiration of a Riemann event is set through periodically-expire function. 4. Streams function includes the configuration for expired Riemann events and :ttl configuration for active Riemann events. Logs are getting generated at /var/log/riemann/riemann.log. Host is binded at 127.0.0.1. 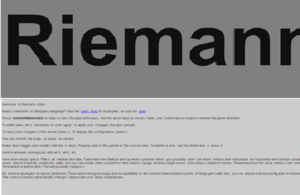 Riemann can be enabled to listen on all interfaces by changing 127.0.0.1 to 0.0.0.0. Riemann Dashboard can be installed via riemann-dash gem. By default, Riemann dashboard starts at the 4567 port. You can modify the dashboard configuration via the config.rb file in the directory from where you launched the dashboard. Riemann dashboard is fully customizable and can be modified. 3. Enter the query service =~ “system.root.disk”, it will list disk related information of the instances. Now, the monitoring engine is up and running. You will require the monitoring client agents to publish the data to Riemann. Riemann has standard set of tools to monitor standard set of services. Check this https://github.com/riemann/riemann-tools. Apart from standard set of tools, it is also possible to write custom tools in major programming languages like Python, Ruby, Java, and Clojure. Here at Talentica, we write custom tools in Clojure programming language to collect specific metrics from Apache Kafka, Redis, and then pass it to Riemann. "Can you explain how to publish custom events to Riemann? I'm currently trying to publish custom events using Python client in Riemann but only the core attributes are been shown.". "Hi Anshul, Do you have a code snippet which will send the riemann events to nagios? It will be really helpful.". "A very handy information and specially with cheat sheet ;) Good Work Anshul !! Keep it up !!! ".